OLD PARKED CARS. 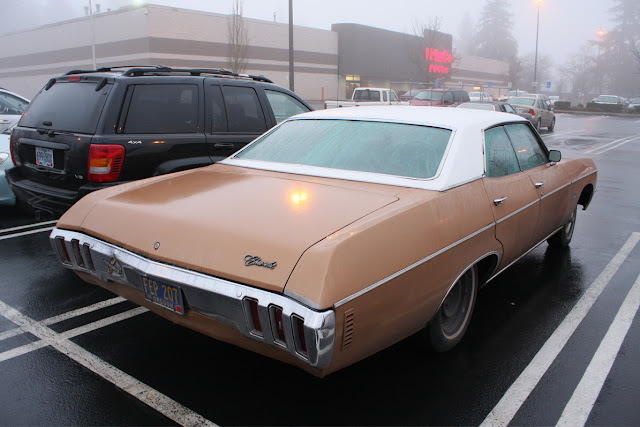 : 1970 Chevrolet Impala 4-door hardtop. 1970 Chevrolet Impala 4-door hardtop. Very nice. 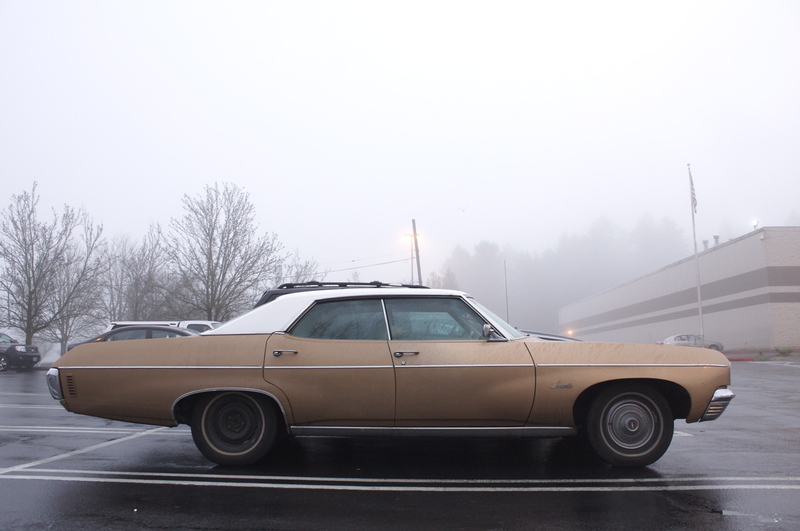 This car is so unremarkable that it is almost invisible. That one missing hubcap, man....that one missing hubcap. It's good(gives it personality) and bad(1 insanely rare hubcap gone) at the same time. Anyway, i'd totally drive this, great find. This is it. This is the car I want to terrorise tiny European cars over here in the UK! I love how it's so overweight that it has bingo wings (apologies if that term hasn't made it to the US before!) It'd the kind of car you see driving in the background of every episode of Quincy or Columbo, and it'd be awesome to get that support of cat over here! I like the touch of putting the tail lights inside the bumper. Yeah I like those1965-70 full size Chevrolets. That particular car with it's color is kind of sharp looking. I remember being in two of them when I was a kid. Both of the owners had them in a aqua turquoise blue. 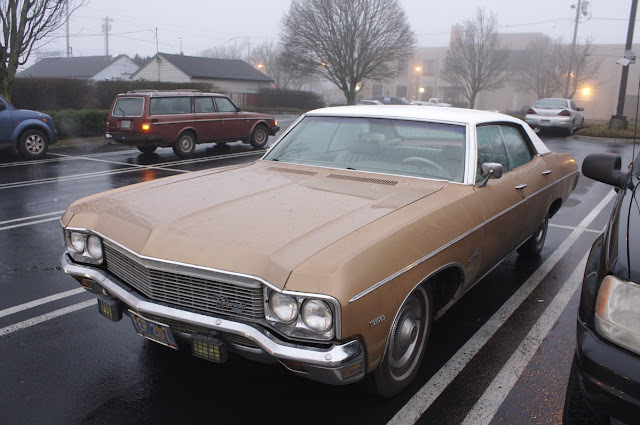 Unfortunately in 1977 I just thought of it as some big old car even though those Chevy Impala's were only 7 years old at the time.